Did you see Maleficent yet? If so, what did you think?! Hi there. I haven't seen Maleficent yet but I read that it was her biggest opening weekend ever, so i might be the only one who wasn't there this weekend. Thanks for checking out my blog. I'm going through your songs of the week and finding some gems. Love the layout! And I haven't seen this movie yet, but it's on my to watch list! All these rave reviews are making me really wanna go see it......gaaaaaah! Angelina has always been one of my fave actresses. I actually did a review of Maleficent on my blog today--check it out! I thought Angie was perfect in this role. Also love Lana's version of Once Upon a Dream. I've heard nothing but good things about this movie! I heard Angelina Jolie is going to do a Cleopatra movie next... I'm sure it will be great! I wasn't planning to see it but now I'm a little curious. I saw the trailer and it does look fun. I haven't seen it yet, but want to since everyone is saying how good it is! I'm really looking forward to seeing this. Thanks for the suggestion to see it in 3D! I can't wait to see this! We went to X-Men instead,which was also good. I'm absolutely dying to see this - it looks incredible! I watched maleficent too on Saturday and Angelina Jolie looks breathtaking! I love it when she leaves her hair when she gets her wings back and she is magnificent! I haven't seen it yet ( its only coming out a little later here in South Africa... ) but I'm really looking forward to watch it. I'm excited to see the movie and it turned out become amazing movie! Angelina's makeup is so stunning and gorgeous! I went to see it last weekend and absolutely loved it! I didn't think I was going to love it as much as I do! It captured Maleficent so well; the fact that she's a hero and villain. No one starts off evil, so it was wonderful seeing why she did what she did. Also, Once Upon a Dream is my new favorite song! Can't stop listening to it! I'm planning to see this movie this weekend! I can't wait to see it. i want to see this so badly!! It has such great reviews so far!! I've hear do many good things about it. The previews looked good, but I have not seen it. Thanks for the heads-up! I'm dying to see this! The song in the trailer is so creepy and beautiful. I so wanna see it! I haven't seen it, hope I do eventually. I am very interested in seeing this movie, I wonder how the story will play out compared to the original. Thanks for sharing your opinion with me. Wishing you a warm and wonderful weekend! This movie sounds good, saw the previewed on TV. looking interesting! Not yet, but soon I hope!! 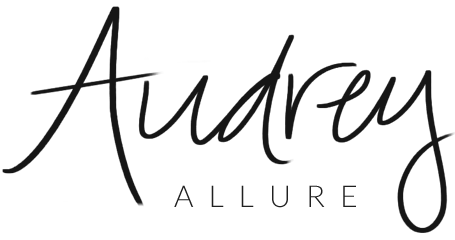 Thank you so much for stopping by my blog Audrey! Maleficent definitely was not what I was expecting! I don't know if I was crazy about the twist. I was expecting something very dark, you know? Overall though...it was a great movie and I thought Angelina did a phenomenal job! I was mesmerized by her lol! I am looking forward to seeing the movie - saw a little preview of it and it does look great. Angelina is so beautiful isn't she ... think I read one of her daughters is in the movie too. I watched it last friday, the very day it released and quite liked it! The visuals were amazing and Angelina Jolie's acting was amazing!